David P Mackenzie MN died 22nd January 1970 aged 81. 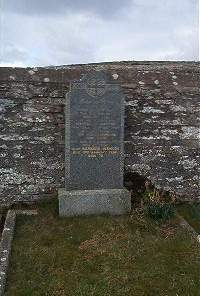 Wife Margaret Mackay died 30th May 1950 aged 67. Daughter Jane Bain died 2nd January 1975 aged 52. Daughter Barbera Manson died 3rd January 1988 aged 72.